The white form is preset to search for SUV and crossover vehicles in the 'Bergamo - Airport' rental office. Address: Orio Al Serio Airport, Bergamo, I 24100, Lombardia, Italy. In Bergamo, we offer vehicles at 4 different rental locations (see the links below). Normally, the best SUV rental offers in Italy are provided by offices located in airports and train stations. The most popular SUV models offered at rental locations in Bergamo are: BMW X5, Hyundai Santa Fe, Suzuki Jimny, Hyundai Tuscon, BMW X3, Toyota Rav4 and others. If you plan to use an off-road vehicle in the mountains, it is recommended to order snow chains. This will save you from unexpected incidents. Other important equipment in Italy are mandatory child seats for travellers with children. OrangeSmile.com wishes you a safe trip and green lights on the roads of Bergamo! When driving on a highway that has several lanes in one direction, drivers should occupy as extreme right lane as possible. The extreme left lane should preferably be used only to regroup and overtake other cars. Once the maneuver is finished, drivers should return their cars to right lanes. If a crossing has a circular movement, cars within the circle have a priority. Entering such an intersection, as well as leaving it, is considered one of the most risky and difficult maneuvers for inexperienced drivers. In order to "fit" the fast moving row of cars, a driver must have a considerable skill level. When driving on a highway, stops can only be made in specially designated places. They are made in a shape of small draw-ins with the «SOS» sign. Making a stop in the wrong place will result in a large fine. 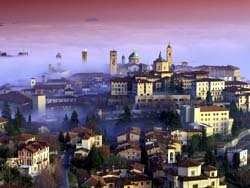 Hotels in Bergamo could be a real find for travelers who love to spend time in historic setting. 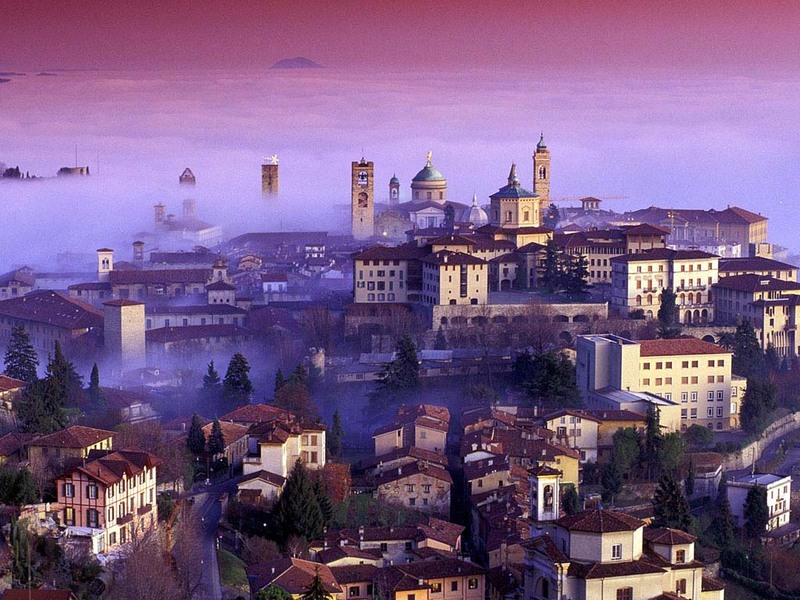 Many accommodation places are set in old charming buildings, and Vip Bergamo is among them. The hotel offers comfortable rooms and apartments; pristine windows with deep niches and beamed ceilings have being preserved during reconstruction. Each of the rooms has graceful modern furniture and antique accessories, as well as unique works of art, including old paintings and frescoes on the ceiling. Despite the fact that Hotel Città Dei Mille occupies a modern building, literally every element reminds about traditions of the past centuries. Interior of the hotel is perfect; the former is based on smart finish of dark woods. The rooms have beds with high carved backs, which are painted gold. The walls are covered with fixtures and metal items, while in public areas vintage wrought-iron chandeliers of impressive size create bold accents. Another feature of the hotel is an abundance of old paintings and photographs. A charming 15th-century building with a cozy patio houses Angolo Del Poeta hotel. In the course of numerous renovations, the building has managed to keep the pristine elements of decoration, including luxurious marble floors and beamed ceilings, which were created over 500 years ago. The rooms feature original stone walls, deep niches and high narrow windows; genuine antique furniture emphasizes the historical atmosphere. In warmer months, guests can relax at a picturesque courtyard.